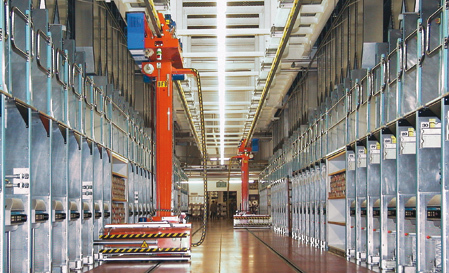 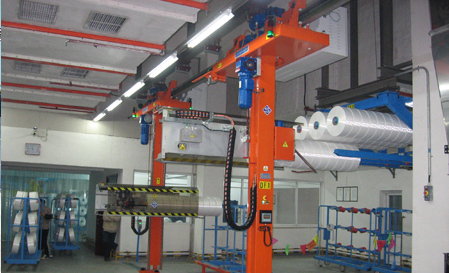 The Doffer is the Salmoiraghi system for bobbin pick-up from winders and transfer to overhead transport vehicles (Shuttles) or pin carts for subsequent automated handling. 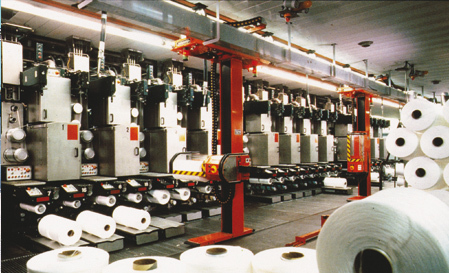 The Doffer range includes semi-automatic and fully automatic models capable to interface with any winder type, including the latest double-chuck models. 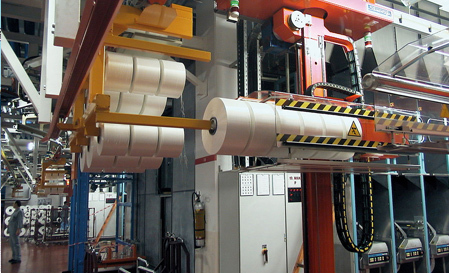 The Doffer-Donner variant also incorporates the capability to reload the winder chucks with the correct type of empty cardboard tubes previously received from special Tube Dispensers or picked up from the pins of overhead Shuttle vehicles. 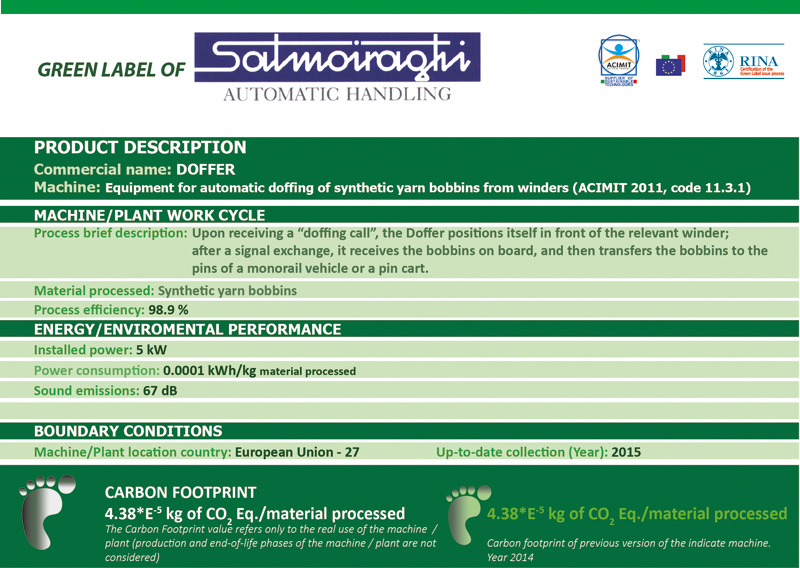 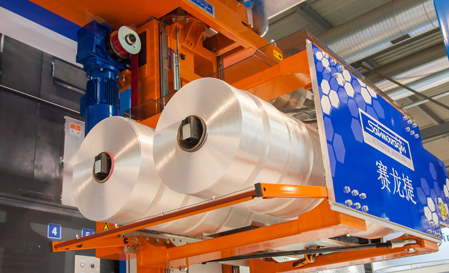 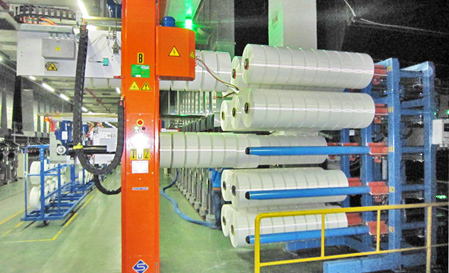 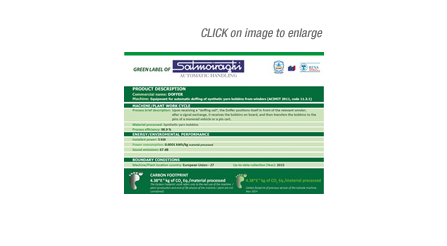 All Salmoiraghi Doffers feature numerous sustainable technology and energy saving solutions; this fact is indicated by the certified "Green Label" affixed to these machines.